Josh Reynolds is the president of Gray & Company, home of the CherryMan brand and producer of more than two billion maraschino cherries a year. Although Gray & Company started in Oregon in 1908, Josh’s family has been involved since 1982. After graduating from Colby College, Josh worked as a producer and on-air talent for one of Portland’s top radio stations. He returned to the family business in 1996, earned his MBA from the University of Michigan in 2001, and was promoted to president in 2008. As president, Josh directs sales, marketing, operations strategy and all new product development initiatives. Outside of work and cherries, you’ll find Josh spending time with family, volunteering in the Portland community, staying in shape and playing music. Josh is currently involved with the I Have a Dream Foundation of Oregon, the National Cherry Growers and Industries Foundation, and the Young President’s Organization Oregon Evergreen Chapter. For all his accomplishments in both business and the community, Josh was named one of Portland Business Journal’s “Forty Under 40.” Married with two sons, Josh relishes spending their weekends on Mt. Hood where they ski, hike and relax. Read more about how Josh divides his time between his home in Portland and the cherry plant in the Michigan. 2am: The work day has not begun, but this is when I hit the pillow. A friend called on Saturday with an extra ticket to see Prince (Prince!!!) perform at a late show at a small Portland club. This never happens -- both Prince coming to Portland and me staying out late on a work night -- but I couldn't say no. 9am to 1pm: The Monday routine includes a review of the prior week's sales and progress towards our monthly budget. I slip into the office of one of my sales directors and we discuss a few accounts. The balance of the morning is devoted to meetings with my Marketing Manager, Stacy Soefer. Our collective travel schedules mean we won't be in the office together again until next week, so we go over the many projects at hand. 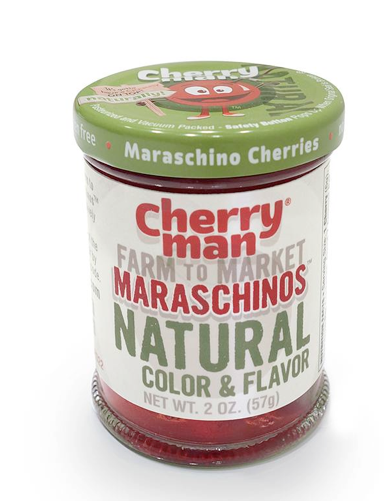 First priority is a review of new packaging designs as we extend our new line of CherryMan Farm to Market natural maraschinos. Stacy came up with the idea for a "Fun Size" jar and is bringing it to life (the ideal cherry-loving stocking stuffer, and maybe what I'll hand out at Halloween this year!). We review the latest design iterations and narrow it down to our favorite. Packaging lead times are discussed and we set a target production date. It will be my job to carry this message and review the project with the operations team in Michigan tomorrow. 1pm: Off to the airport. Park, eat lunch, board. I'm en route to Grand Rapids, the closest commercial airport to the hub of our operations in Michigan. Maybe my letter campaign to Southwest will one day result in a direct PDX-GRR flight, but until then it's a one-stopper on United, this time through Denver. 6:30pm Mountain Time: Winter is still in full force in the Rockies and the turbulent approach fires up the senses. Now I'm worried about making it to Grand Rapids tonight. The next morning, a key customer meeting awaits. We do land, I make my connection, sit on the tarmac for de-icing and take-off. It's a white-knuckler, the kind of flight that makes me think about a permanently grounded alternate career. 9am: I meet Jackie Case, my SVP of Sales, at Starbucks. She has flown in from Charleston, SC, where she works out of a home office. We are scheduled to meet with our category buyer at Meijer and pitch the new CherryMan Farm to Market natural maraschinos. Jackie doesn't need me to hold her hand. She has only been with Gray & Company for more than 30 years. But I'm driving the product launch and like to get in front of our top customers. This is our fourth pitch together in four months, and we make a good team. 10:30am: Meijer is a great Michigan-based company and a long time customer. The buyer and his colleague are smart and know their business. They ask good questions. I think we have good answers. The meeting lasts 30 minutes, and we're informed they will make a decision in the next few weeks. 11:00am: Jackie and I depart for our plant in the one-stoplight town of Hart, Michigan, about 75 minutes away. The plant is the nerve center of Gray & Company. 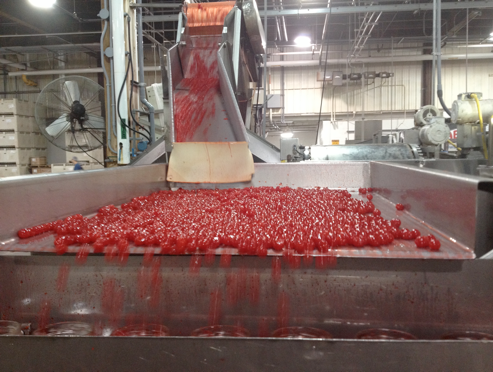 We buy cherries all over the U.S. and have a large cherry receiving plant in Oregon, but all of our fruit is processed and packed in Michigan. 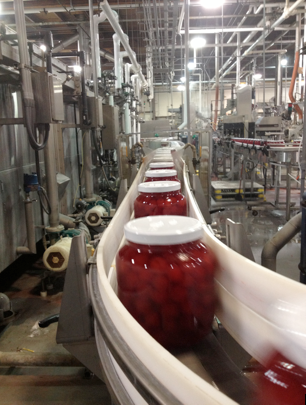 Last year, about two billion cherries passed through our 145,000 square foot plant. 12:30pm: Jackie and I have lunch in town (we had to negotiate that one stoplight) with two of our key managers, Kelly Bowlin and Joe Weinert. The four of us have all been with Gray & Company for most of our careers, so it is as much a personal catch up as it is a business lunch. 2pm: Back at the plant, I exit the office and walk out to the production floor. 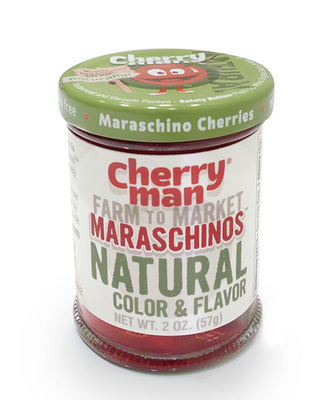 We are ramping up inventory of the CherryMan Farm to Market natural maraschino. Today is our first extended production run, and it is rewarding to see the product come to life. 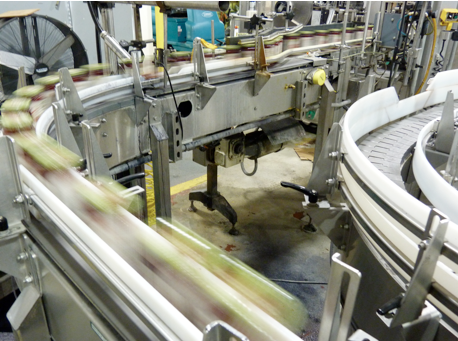 The jars fly through the packing line, 300 per minute. The balance of the day is in meetings. I meet with the production planning and quality control management to discuss fruit supply lines coming from Oregon. Jackie and I spend some time going over key accounts and the next customers in line for new product presentations. 6pm: My dad, Jim, arrives, having just flown in from California. He is still active in the business, serving as Chairman and CEO. Day-to-day has been turned over to me, and Jim now splits his time between the Traverse City area and a winter place in warmer climates. We have dinner with Jackie and our resident senior staff, VP of Operations Dirk Williams and CFO Brian Rudy. Jackie departs for Grand Rapids to fly out the next morning, and Jim and I check in to the modest company house we have in the area as our crash pad when in town. It is a huge benefit to make this routine trip and not have to spend every night in a motel. 10am: Research & Development time! Easily one of the top five things about running a food business. I catch up with Connie Ferguson who runs our R&D lab. We have projects to go over. First, I want to taste a sample of the candied blueberries we just completed for a customer. It was a custom project for a well known candy brand. The fruit is delicious but I am concerned about the variation in size. When you infuse blueberries, the fruit is very delicate and it is going to shrivel. We sell it by the pound, so a higher yield loss hurts us but not the customer. I'm pleased with the flavor, but note we need to source a more uniform berry size in the future. Next I look and taste samples of a dark red -- really, its almost black -- maraschino-style cherry we are working on at the request of another customer. I select one of the samples as the base formula for another round of experimentation. 11am - 2pm: Jim, Dirk, Brian and I gather for senior management meetings. It spills into lunch. The four of us are together only eight to 10 times a year, so we have a full agenda. We go over a number of manufacturing projects, a quality issue, and office expansion plans. 2:30pm: I have a brief interview with Supermarket News over the phone. 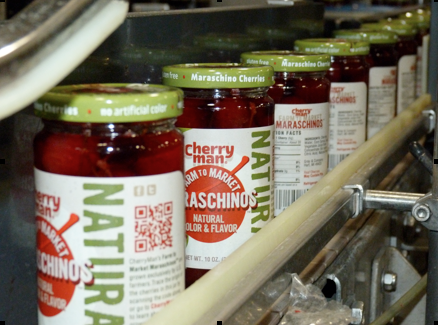 SN is interested in the fruit traceability feature of the CherryMan Farm to Market marachinos. 3pm: All management and office staff gathers in our conference room for the monthly operations meeting, and this time we are in year-end review mode. Our fiscal year wrapped up on March 31. Dirk leads the meeting, and department heads report out on monthly and year-end performance. On the whole, it is a very positive report with improvements made in several areas. The overriding themes are safety, quality and productivity, and we provide a quarterly bonus plan tied to these metrics. 4pm: The operations review wraps up, and the meeting is turned over to me. It's the time of year when I provide a corporate overview of our closing fiscal year performance, and then present our business plan for the new fiscal year. I enjoy these opportunities to get in front of the team as whole. It's a chance to provide shout-outs to good performance, provide the "big picture" and lay out our challenges and goals for the coming year. I like to emphasize to the team that our job is to focus on what is in our control. Our business is surprisingly complex, but to distill it down to three items, we have to buy right, make it right, and sell it right. Most of my activity focuses on the first and third. The operations team is charged with the second task. If we do all three things well, the company can earn a fair profit. In turn, we'll have the resources to grow and provide more opportunity for our employees. 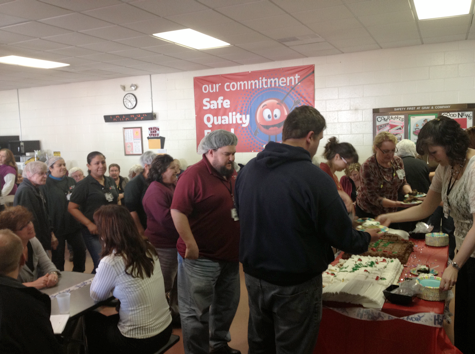 4:45pm: The meeting closes, and the staff is ushered off the to the plant lunch room. Everyone, including all of our union production employees, have gathered for a little surprise to celebrate my dad's 70th birthday. 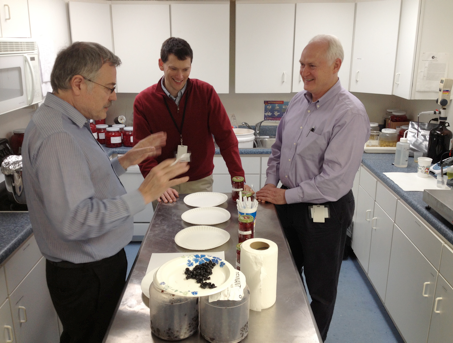 Jim is presented with a large card signed by everyone, and we enjoy two huge birthday cakes. Some of our employees have been with us more than 35 years, but my dad now has the honor of being the longest serving current employee of Gray & Company. 6pm: Back to the R&D lab, this time to meet with Jim, Dirk and Jeff Nixon, our head of engineering. 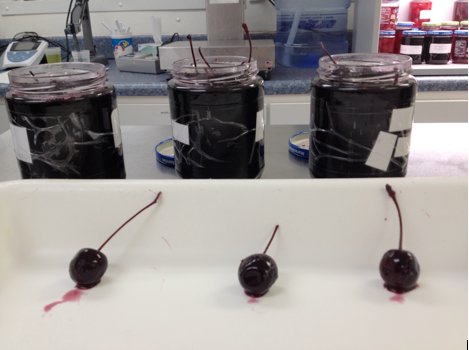 Jeff has been working on a very interesting project that could significantly advance our cherry processing methods. We review fruit that has been processed in a lab environment and discuss next steps. There are a few rules in business to live by, and one of them is there is always a better way to do something. 7pm: The day is done. I retreat to the company house, retreat to the basement for a workout, make dinner, call home, and finally unwind in front of ESPN, the default white noise for male business travelers everywhere. 8:30am: Back to the plant. I take 20 minutes to do a quick walk through of the plant floor. We are packing 1/2 gallon jars of maraschinos for a West Coast customer. 10am: I attend the weekly staff meeting led by Dirk. I sit in when in town to keep up to speed with daily details and current projects. I always learn something -- not always good! Today I find a small packaging change was made without marketing approval. A slight misdemeanor rather than a crime, but still it requires follow-up. 11am: I depart the plant for a meeting with our largest grower in the area, Hackert Family Farms. I meet with Dave and Jason Hackert at Dave's office. Dave and Jason have more than 2,500 acres of fruit tress under their care, and we buy all of their light sweet cherries, i.e. fruit grown for my industry as opposed to fresh markets. The agenda is to sign them up as a designated CherryMan Farm to Market grower. I then go through my interview questions so we can create a Hackert Family Farms page within our website. Jason departs and Dave and I grab lunch. 1:30pm: One more stop at the plant to meet with Jim Austin, the lead manager from our I.T. support firm. We outsourced most of our I.T. support about four years ago. I drew the short straw and I.T. oversight was reassigned from finance to my desk. We found a very capable regional firm in Grand Rapids, and they have been with us since. Jim and I go over the project plan for a significant hardware upgrade planned this quarter. 2:30pm: I say my goodbyes and depart the metropolis of Hart for an afternoon flight out of Grand Rapids. Sunny skies and satellite radio in the rental car make for a pleasant drive back to the airport. 8am: I drop Owen off at school and arrive at the office a few minutes later. There is a pile of stuff accumulated from my few days away, but the office is quiet and I catch-up on my to-do list. This includes a handful of administrative work, some phone calls and planning for our annual spring meeting with our Oregon growers. Noon: I pick up sandwiches and visit my mom. Her home is less than 15 minutes from my office. In the afternoon I complete the job description for a new Business Development Manager position and post that online. It's a gorgeous spring day, and I leave work a little early to spend some time with my sons. We play catch in the front yard, over the cage we have set-up for Basil so he can get some outdoor time in the grass. 5:30pm: The teenage neighbor next door checks in to spend the evening with our boys, and Sarah and I depart for a fundraiser to support Camp Fire USA's Portland chapter and their new CEO, a long time friend. A great look behind-the-scenes of a small, successful food business.